I love stillness. When I find it and remain there long enough it changes me. When before I had been anxious, I there find peace. When previously confused, I then find clarity. When I enter with discouragement, I leave with hope. I have reaped so many blessings from this humble little gift. Yet, truth be told, I often act like only a fair weather fan of stillness. Or perhaps, I should say a “stormy weather” fan. For it’s usually in the darker seasons of life when I most consistently avail myself of this quiet tucked away treasure. These are the times I am most starkly reminded that in Christ I already have what I need. 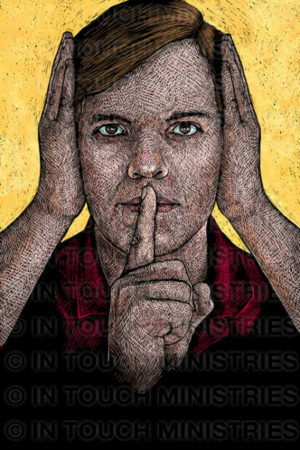 And so I am motivated to remember the posture of stillness and reclaim the gift of silence to once again trust the sufficiency of Christ. How quickly though the urgency of such communion slips away when more pleasant days suddenly reappear. For in the brighter seasons of blessing, silence too often feels like wasted time. We worry that we could, should, or ought to be more productive . . . doing something else. And so a shifting of urgency occurs—not in belief but practice—as we increasingly invest the minutes and hours of our days more in the maintenance of our lot than quiet fellowship with Christ. Simply put, we’ve ceased to be desperate for God. Left unchecked, we will revert back to a faith in self, masquerading as trust in God. Such is no indictment of hard work and responsible use of resources, but a reminder that faith and hope require the hard work of stillness and quietness. The reason stillness often feels awkward is because we’re so used to managing our worries that when we finally hand them over to God we either feel silly or vulnerable. The discipline of stillness forces us to come to God on his terms not ours. In stillness we remember we are stewards, not owners of our lives. Such is an easy pill to swallow on the ragged edge of desperate straits but an uncomfortable truth to practice after we’ve begun acclimating to our blessings. Like most things in life, stillness must be practiced if silence is ever to be valued as more than wasted time. If we are consistent in this discipline, eventually our sense of awkward silence will succumb to a comfortable quietness. In this place of freedom from our calendars we will begin to see the imprint and activity of God in our world in ways we’ve never before noticed. Next week we’ll talk about how such new found vision can have a renewing impact upon our faith. Does the practice of silence ever feel awkward or an exercise of wasted time? Have you been able to persist through such excuses? If so, what happened?